The University of Port Harcourt has posed the Alma mater of renowned individuals in our society. From presidents to Governors, to top entrepreneurs and many prominent people in society. Whether it’s because of its educational standards or the way it unites individuals from all races and tribe, is not certain but the moment a student gets his Matric number, he begins a journey of greatness. A journey through the grounds of the University of Port Harcourt. To recognize this talents from their roots, Campuslife has taken up an initiative to select 20 students of outstanding performance, both academically, extra- curricular and otherwise. There are no criteria involved, an exceptional student is an exceptional student. Each week we would be featuring a student from the 20. This is but our opinion, no vote taken and that a student’s name doesn’t appear doesn’t mean he is less exceptional. 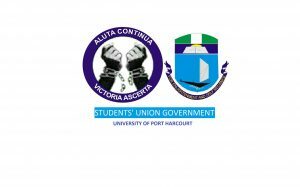 If you are or know a student(s) worth being in the Uniport 20 please send a mail with student details to Uniportcampuslife@gmail.com or WhatsApp 07067832069 and why you think he/she should be and we would follow up on the student(s). For any suggestions or comments, hit the comment box.